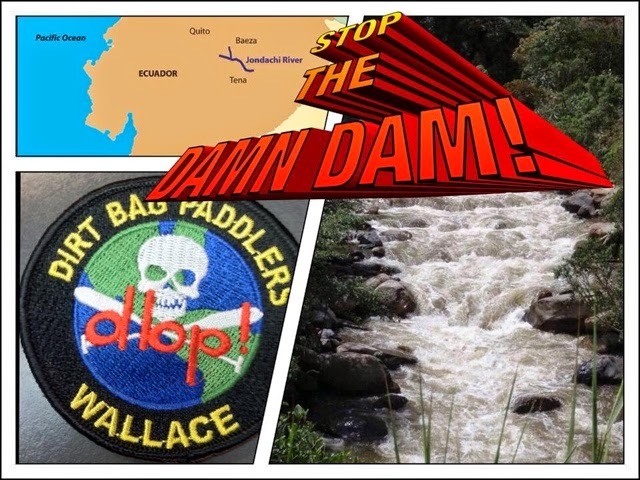 DIRT BAG PADDLERS EVENTS CALENDAR 2015 brought to you by DBP MAGAZINEONLINE | DBP MAGAZINE ONLINE The World's Best Free Whitewater Publication. DBP looks all over the globe for Admins to share their stories. Our Dirt Bag Paddlers Facebook Admin team is from every region of The States and on every continent: Chile, Costa Rica, Brasil, Peru, Panama, Indonesia, Malaysia, New Zealand, Australia, Bulgaria, Greece, the Philippines, Romania, Nepal, India, Iran, Kenya, Uganda, France, Turkey, Germany, England, Norway, Sweden, Ireland, Iceland, Canada… And we continue to grow. Dirt Bag Paddlers is all about sharing with the world our celebration of The River, and the paddling lifestyle, as well as bringing together all types of people and cultures with whitewater. We are free out there, free from the imaginary boundaries that try to separate us from each other. 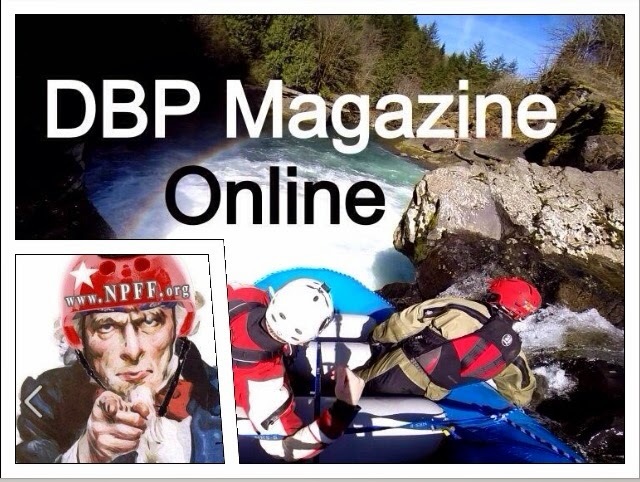 DBP is raft guides, kayakers, open boaters, shredders, squirt boaters, river boarders, SUPers; we are outfitters, racers, photographers, artists, writers, musicians… Just like our people who like and share with us. We’ll paddle all day with you, and smack your beer outta your hand afterwards cuz we love you. We’re here to Wallace, enjoy life to the fullest, and take you along for the ride. One Love, One River! Cheers! So we thought we’d publish our full list of events so far for the 2015 paddling season. If there’s something you think we should attend please hit us up, AND SEE YOU ON THE RIVER! 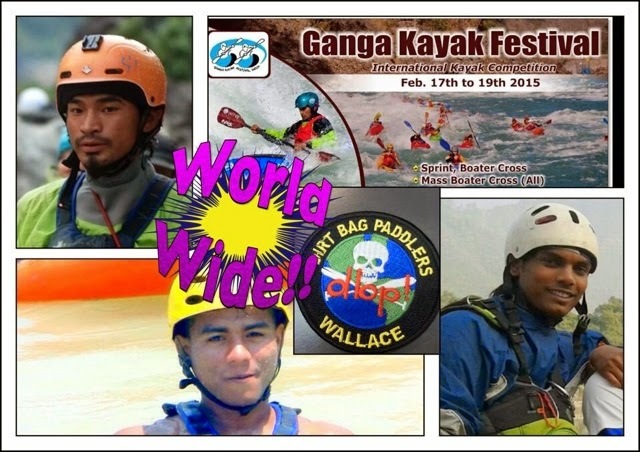 Join DBP Admins Deepak Rana, Vijay Pundir, Rozali Mohamad Saad, and Surjan Tamang (who will be paddling with Team Nepal) at the biggest whitewater festival in India! The Ganges River is one of the truly great rivers of the world, like our Colorado and Mississippi in scope and measure, and the race course is situated at the Class IV section outside of Rishikesh. 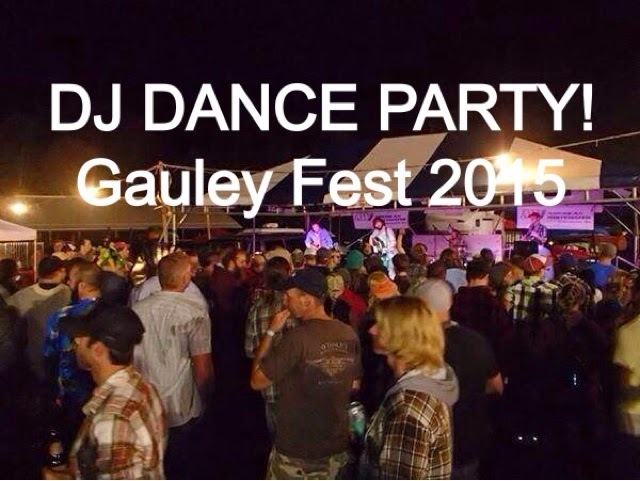 This is the second year of an event that will def become one of the main festivals in whitewater! Come join us for the paddle and the fun ! Come drink bourbon and craft beer with the pros while watching the best films out there! DBP will unveil our own first movie… Prob on our iPhones! Hahah! 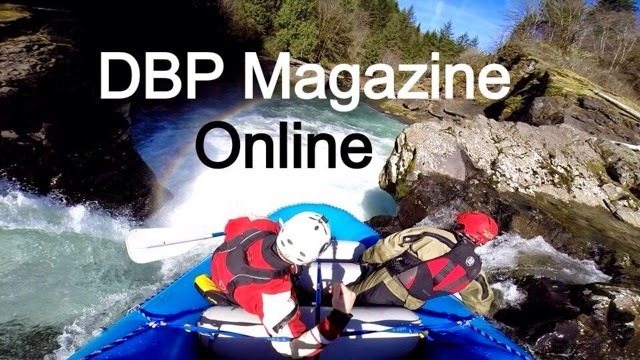 Paddle, Hang with us, pick up some DBP merch and free swag from the back of our Dirtbagmobile, check out DBP MAGAZINE ONLINE, and be the envy of the DBWorld hahah! DBP Admins “Chicago” Mike Toughill, Willy Heindel, and Jake Ring will be roaming around in DBP gear ( look for the DBP Logo!) 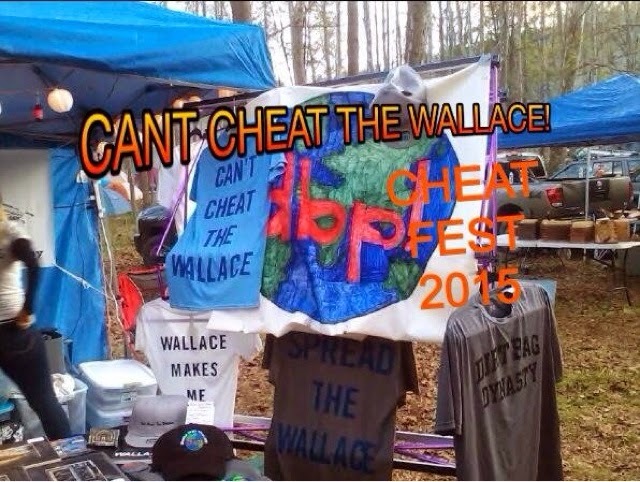 with free swag for you Dirtbags, and some goodies in the trunk for sale : hats shirts etc. We will be pressing the flesh with the top companies in paddle sports and shopping and talking shop like the rest of the Midwest at an awesome three day event! Prob find us chilling with our homies at Kayak Chicago, or Tarka’s Whitewater Journeys, or (surprise..!) the free beer sample booth. Gonna even catch a few symposiums… And partying down afterhours in true Dirtbag form! Brace yourself, Madison! 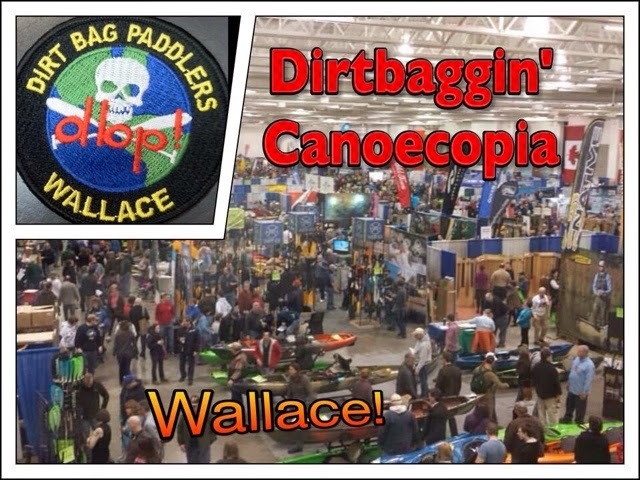 Dirt Bag Paddlers in conjunction with Team Gung HO Pirates will be running a booth again this year where you can pick up some DBP Gear, check out our movie, and sign up to win the FREE Can’t Cheat WALLACE prize package… What’s in it? Guess you gotta come find out! We will have some free swag for the first visitors to the booth… But we ain’t manning it till WE get off the River, so there! Did you expect anything less from Dirtbags? So beat a path to the party and let’s all pitch in to help preserve the longest free flowing river in The East, the mighty Cheat! 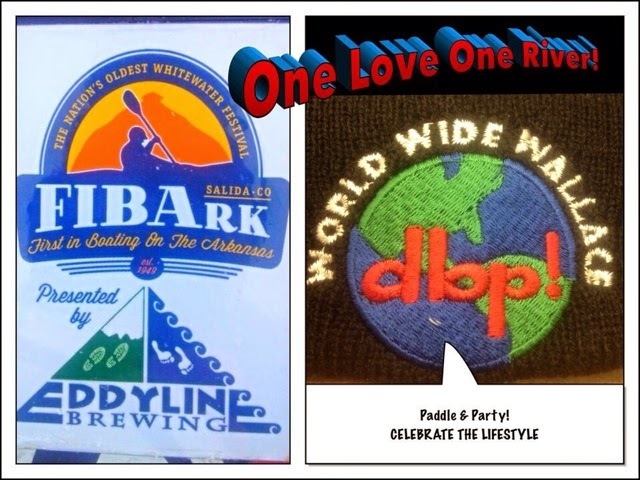 We will be at FIBArk, Murica’s oldest whitewater festival, celebrating the lifestyle, paddling and partying, enjoying the local flavors and craft beers, and reporting on the Fest for DBP MAGAZINE ONLINE. Look for the Dirt Bag Paddlers (we will tell you who to look for and where we will be… Cuz DAMN they want $500 for a friggin BOOTH?!?) and say high to Ross Miller and contribute to the story, pick up some Dirtbag Merch straight out the trunk of his Dirtbagmobile or just snag some free swag (while it lasts… 100 special event stickers !) SEE YA THERE, Dirtbags!! 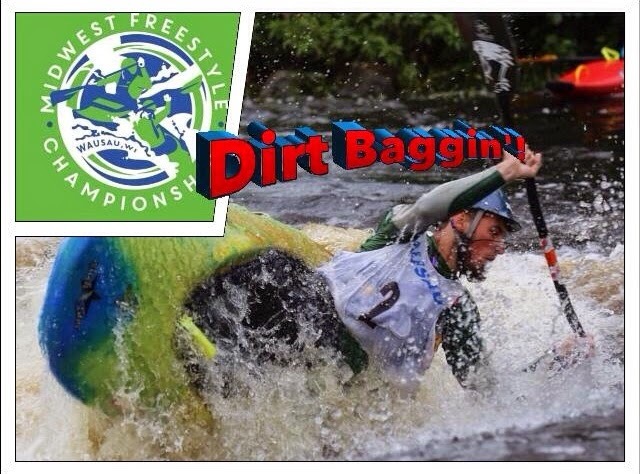 After watching THE BEST go at it the Wausau Whitewater course, We are gonna fill up a local private campground Saturday night and THROW DOWN! DJ Pocket Fuzz gonna make you go BUMP BUMP BUMP!!! Then on Sunday, its off to whatever is running in August in the Northwoods…. Menominee, Wolf, or if we’re lucky the Black or Montreal! Pray for a wet night!